A die-hard weights and cardio fanatic since her teens, Cindy discovered pilates in 2005 in the form of an exercise dvd. However it wasn’t until a challenging pregnancy in her 40’s prompted her to focus more on Pilates. 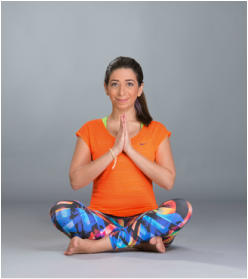 In 2014 she trained and qualified as a Body Arts and Science International (BASI) Pilates Mat instructor in Johannesburg, South Africa. She then taught Pilates between 2014 and 2018 in Mauritius. When she’s not teaching Pilates, Cindy loves spending time with her husband, three sons, and her two rescue dogs . Michael's yoga journey began about 40 kilograms ago. After experiencing a bit of a medical trauma in late 2016, he decided to take ownership over his mind and body and yoga was his path to do just that. Maintaining a consistent yoga practice has not only allowed him to better his physical body, but enabled him to explore and better understand the amazing brain- mind-body connection that comes with this dynamic/dedicated practice. His love of yoga has grown out of the knowledge that yoga encourages you to learn who you are and appreciate what you discover. You will appreciate that your body is changing everyday and that one day you might not be able to do something, but maybe the next day you can. Michael's goal in teaching is to help students safely discover just how capable they really are while having fun while doing it. 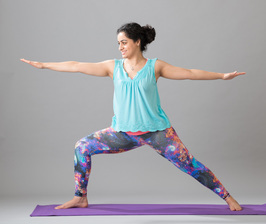 Raneen was introduced to Yoga in 2012, but truly fell in love with the practice in 2014. Yoga introduced her to the meaning and power of stillness in a fast and restless world. After years of practicing, she decided to complete her 200 RYT at Namaste in 2019. She is also an L3 certified fitness trainer since 2017. 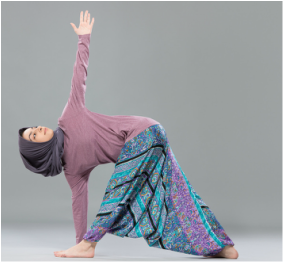 Raneen aims to help her students find the joy and healing in movement, and nothing makes her more alive than seeing her students feel good and realize their mental and physical potential. In her free time, she loves learning and exploring different disciplines; from Calisthenics and functional movement to Jiu Jitsu.